The ceramic tile in this cosy outdoor entertainment area was very slippery. 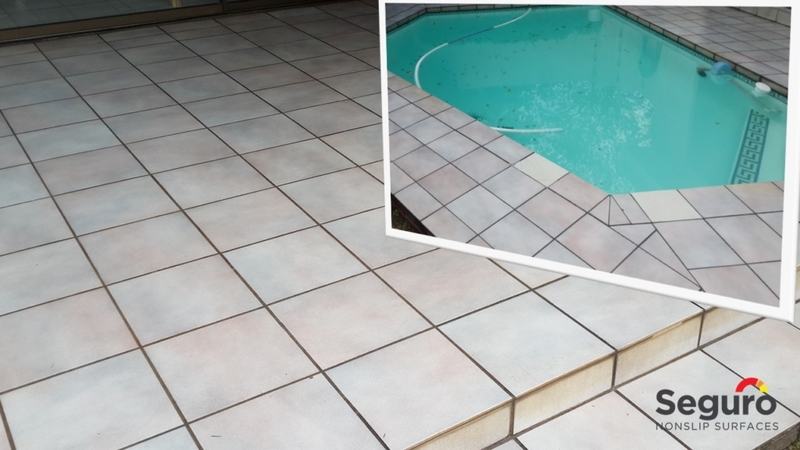 To save cost and eliminate the inconvenience of replacing the tile, out client requested the titanium anti-slip coating to add slip-resistance to the tiles. The anti-slip coating was successfully applied to the area and we are glad to have added significant slip-resistance to the tiles to ensure the surface is much safer to walk on in wet conditions.